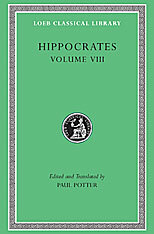 The medical treatises collected under Hippocrates’s name are essential sources of information about the practice of medicine in antiquity and about Greek theories concerning the human body. 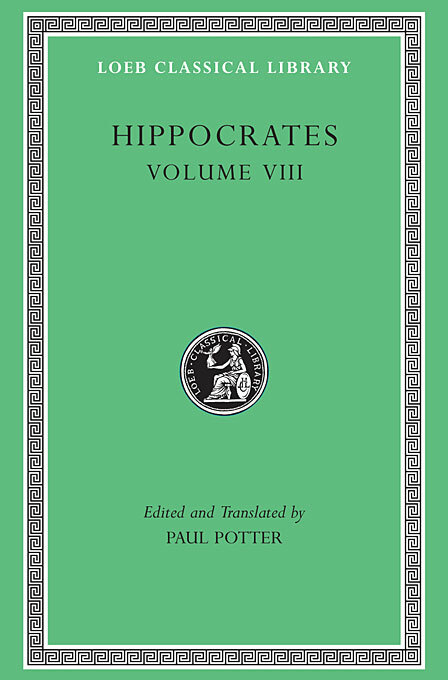 In this eighth volume of the ongoing Loeb Classical Library edition of these invaluable texts, Paul Potter presents ten treatises that offer an illuminating overview of Hippocratic medicine. Three theoretical works—Places in Man, General Nature of Glands, and Fleshes—expound particular theories of anatomy and physiology and then elaborate on how disease and healing occur in the systems depicted. Prorrhetic 1 and 2 and Physician deal with symptoms and prognosis and with other aspects of the physician–patient relationship. And four practical manuals—Use of Liquids, Ulcers, Fistulas, and Haemorrhoids—give specific instruction for treatments. Thus from the writings in this volume we gain insight into the Hippocratic physician’s understanding of the body, his approach to his patient, and his methods for dealing with a variety of disorders.